Choose the 2018 Maserati Levante in Cincinnati! 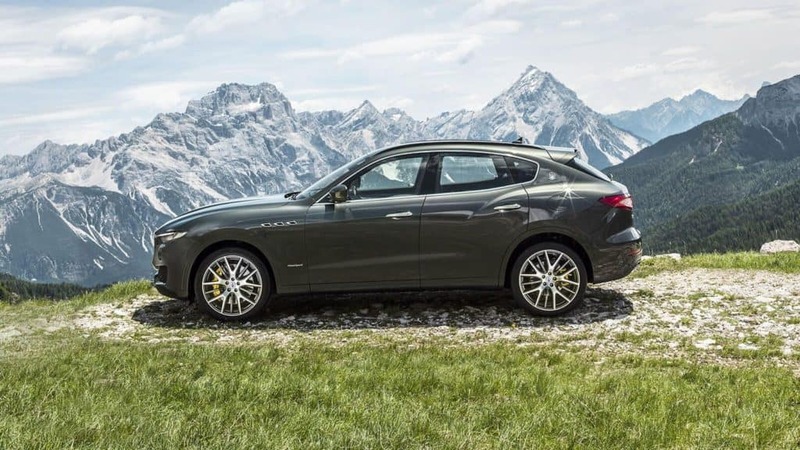 Utilizing a 3.0-liter, twin-turbocharged V6 engine and available in two power specifications, the Levante is a powerful vehicle. The Levante can produce up to 424 horsepower at 5,750 rpms and put out 428 lb-ft of torque. The Levante definitely does not lack in power. To back up all of the power under the hood of the Maserati Levante, you’ll have technology features such as a limit-slip differential. The Levante is the only SUV in its class that is equipped with this feature. Equipped at the rear axle and standard you’ll have optimized traction in all driving situations. For a smoother ride, the Maserati Levante has an advanced active air suspension system that can raise or lower the vehicle depending on need or preference. Settings range from high, for better off-road clearance, to low, for more efficient highway driving. For a better and intuitive display, the Levante has the Maserati Touch Control Plus (MTC+). This elegant 8.4-inch display houses many features, including multimedia options. The 2018 Maserati Levante has a plethora of available safety systems to keep you safe. Some of the safety features include the Maserati Stability Program (MSP) which uses an array of sensors to constantly monitor driving status. In the event a skid of loss of control is detected, the MSP can reduce engine torque and activate the brakes with varied inputs to help restore stability. Other safety features include Lane Keeping Assist (LKA), Forward Collision warning and other Advanced driving assistance systems. There is so much more to the 2018 Maserati Levante in Cincinnati then meets the eye. Come discover this amazing vehicle for yourself at Maserati of Cincinnati or schedule a test drive to experience all of the power and utility the Levante has to offer.